We love spring for many reasons. Longer days, outdoor drinking, and usually a bit of vitamin D to perk us all up a little. However, what we adore most about this glorious season, is the fact that we get not one, not two, but THREE bank holidays to fill with pure holiday joy! You may think that it’ll be hard to bag a top travel bargain during these dates, but we’re here to prove you wrong. Here are some of our favourite bank holiday break destinations, all with a pretty attractive price tag! Not only does Seville guarantee great weather for visitors during springtime, but there's also plenty going on over the bank holiday weekends, and in particular, Easter. If you're looking for something a little different from your bank holiday break, then Seville's Holy Week could be just it. 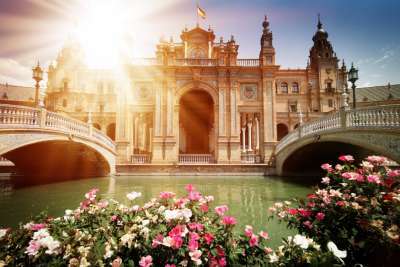 With floats, parades and celebrations everywhere you look, it's certainly an interesting time to visit, and a way to see Seville in a different light to how most visitors see this stunning city. 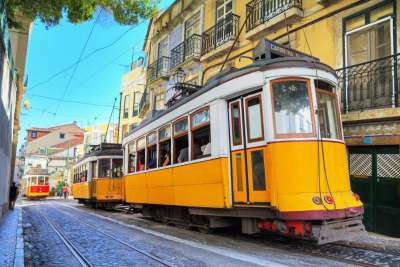 Lisbon is a great city to visit at any time of year, but we think spring is definitely the best time to go! They'll be a nice buzz around the Easter bank holiday with lots going on, not to mention plenty of traditional codfish dishes to try on Good Friday for the foodies out there. In May, temperatures reach up to a toasty 22°C, making conditions pretty ideal for exploring the city in all its glory. Check out the impressive Belém Tower, wander round Bairro Alto or sit outside and enjoy some of Lisbon's finest seafood. Sure, so it may not be the warmest spot in Europe to visit at this time of year, but with great prices and some fascinating things to see and do, this Estonian capital deserves a place on this list. Unlike other European cities, Easter is not a massive celebration over in Tallinn, making it a lot less busy to visit at this time of year than other destinations. 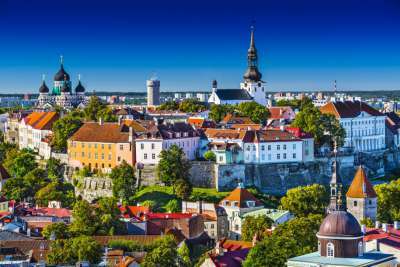 Make the most of this and explore the Alexander Nevsky Cathedral, Toompea Castle and Tallinn Old Town without the hordes of tourists around you. 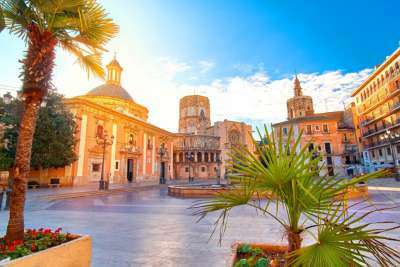 Often forgotten about and overshadowed by the oh-so-famous Barcelona, Valencia doesn't get the attention it deserves. Perhaps it will do now with such attractive bank holiday prices on offer! With temperatures reaching into the early 20°Cs for the best part of May, it's also a pretty great time to visit for those wanting a break that combines both city and beach vibes. It's also the birthplace of everyone's favourite rice dish, paella - so make sure you grab one before you head home! Home to some of the most beautiful and historical churches in Greece, Athens is a great choice for those looking for a memorable Easter break. With traditional services during holy week, and plenty of food and drink celebrations, it certainly is an experience. For those wanting to explore Athens at a slightly less busy time, the May bank holidays are probably your best bet. 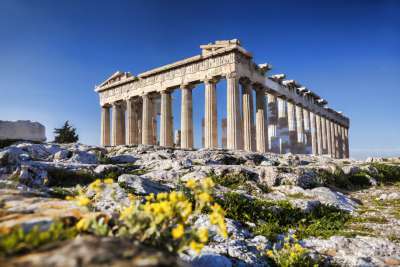 There's lots to see and do in this fascinating city, and with the weather at a comfortable temperature, it's the best time to visit the world famous Acropolis. We keep hearing a lot of great things about Bulgaria's capital, Sofia. And now that we've seen how cheaply we can head here during the bank holiday weekends, we're even more interested! The spring weather may be pretty similar to our own climate, but don't let that put you off. With a lot of the locals heading away for the bank holiday weekends, the city becomes a much quieter place and a great time to visit. 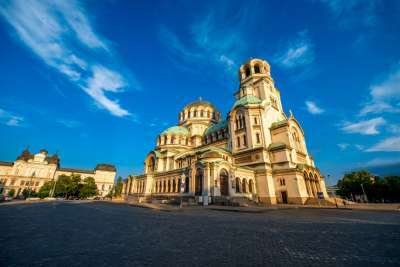 Wander over the iconic Eagles' Bridge, check out the National Historical Museum, or explore the Sofia Central Mineral Baths. We don't think there's ever a bad time to visit Budapest. With cheap travel costs, plus super cheap food and drinks once you arrive, it's a great spot for that bargain bank holiday break you've been looking for. 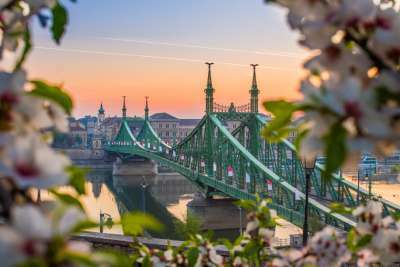 Enjoy the Budapest Spring Fair in Vörösmarty Square which runs through the whole of April, offering concerts, live music, arts and crafts workshops, and plenty of traditional food and drink for all. You can also book yourself into the Széchenyi thermal bath for a bit of bank holiday indulgence before you head back. 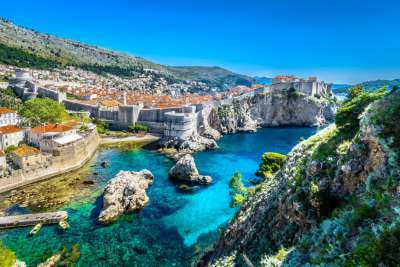 Easter is the most important Catholic holiday in Dubrovnik, and with the preparations beginning a week in advance, it makes for an interesting time to visit. Aside from the celebrations and services around the city, there is also the annual Easter fair in the Old Town to check out, full of local produce and decorated eggs. If it's sunshine you're after though, you're probably better off heading to this Croatian gem at the end of May where temperatures begin heating up to balmy low 20°Cs. Head to Slovenia's capital and largest city next bank holiday for something a little different. 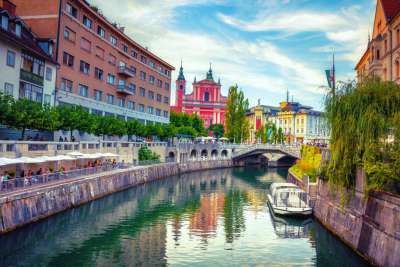 Known for its lush greenery, expansive Tivoli Park and winding-river lined with cafes and restaurants, Ljubljana is an up and coming city just waiting to be explored. The good news is that during Easter a lot of locals head away for the weekend, making the city quieter and even better for a bank holiday break. Make sure you try the local Easter delicacy potica, a rolled cake with a variety of fillings which can be purchased from most bakeries around the city. 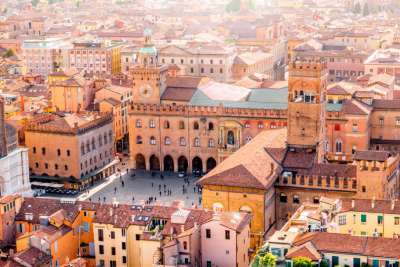 Known as Italy's foodie capital, there really is never a bad time to visit Bologna. The May bank holidays will bring the sunshine, with temperatures sitting in the low 20°Cs by the end of the month. However, if it's food you're after then the Easter bank holiday is probably more up your street. Expect to see Easter Sunday menus filled with tortellini in brodo, lasagne, slow cooked lamb, cured meats and cheeses, and of course, plenty of chocolate eggs!